• Tui Travel (pictured) scrapped its annual salary review for UK staff amid news rival Thomas Cook was awarding employees an annual pay rise of 1.5%. All Tui’s 19,000 UK staff were affected. The news came as Tui revealed summer bookings were down 7% year on year for the previous four weeks, while cumulative bookings were 18% down. • Candidates for the vacancy on Abta’s board of directors for the retail category for turnover of less than £20 million urged members to cast their votes. The candidates were Sandy Murray, Sandy Travel; Doreen McKenzie, Knock Travel; and Daniele Broccoli, Britaly Travel. • Meanwhile, Page & Moy announced 60 jobs were at risk as part of a group-wide restructure. Kuoni chief executive Peter Rothwell insisted proactive agents were important, but admitted an increased in-house focus by the multiples had forced it to seek more direct business. Kuoni’s own retail network would expand to 10 or 12, he said. 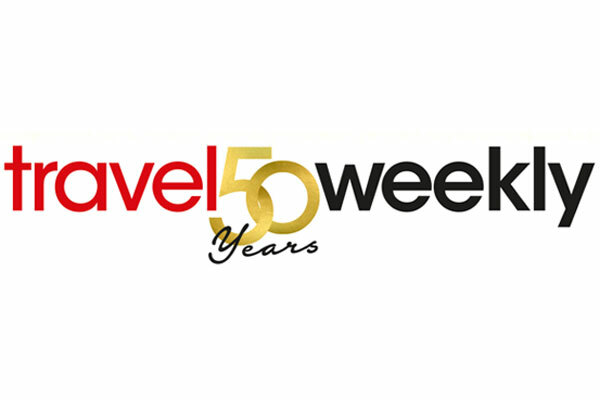 • Non-Abta retailer Global Travel Group announced plans to open 100 agencies in Asda supermarkets nationwide following a successful pilot. The group, which struck deals with leading operators following the end of the restrictive ‘stabiliser rule’, had an outlet at Asda in Merseyside’s Ellesmere Port. • Virgin Atlantic was the first carrier to respond to British Airways’ global discounts – by undercutting its rival by £1 on the New York and Los Angeles routes to £238 and £318 respectively. 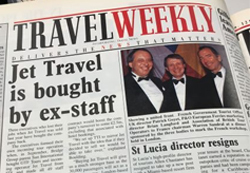 • Three executives – John Boulding, Elaine Lumley and Sue Bisby – who’d lost their jobs when Jet Travel was sold the previous year, bought the company back. 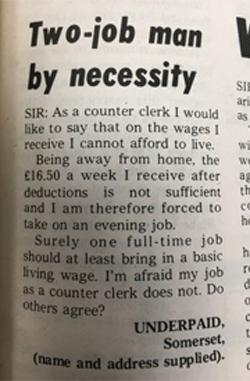 • On the opinion page, a Somerset reader named only as ‘Underpaid’ said he/she was forced to take on a second job because working as a counter clerk on £16.50 a week did not provide sufficient income. • After eight hours of talks, two of Abta’s councils reached a compromise on the fuel surcharge commission row. 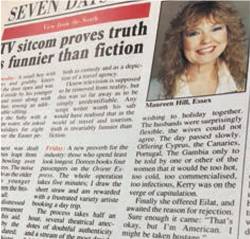 Although agents were told they would have to continue collecting surcharges for summer packages on a non-commissionable basis, commission would be paid from the start of the 1974-75 winter programmes. • Cadogan Travel issued a full-page apology to agents for its slow service. It blamed higher-than-expected demand and the miners’ strike while promising it was back to its “usual standards of efficiency and service”. 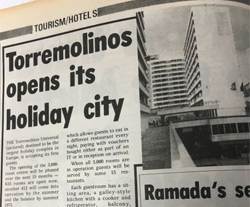 • The Torremolinos Universal – destined to be Europe’s largest holiday complex – accepted its first guests. The opening of the 3,000-room centre was to be phased over 15 months. The self-contained ‘holiday city’ in Torremolinos had its own pools, discos, shops and restaurants.